I picked up this fantastic Mid Century Modern or MCM piece from the lovely Michele at Barn Dance Vintage. I wasn't quite sure how to get started, so I walked by it for several weeks before making up my mind. 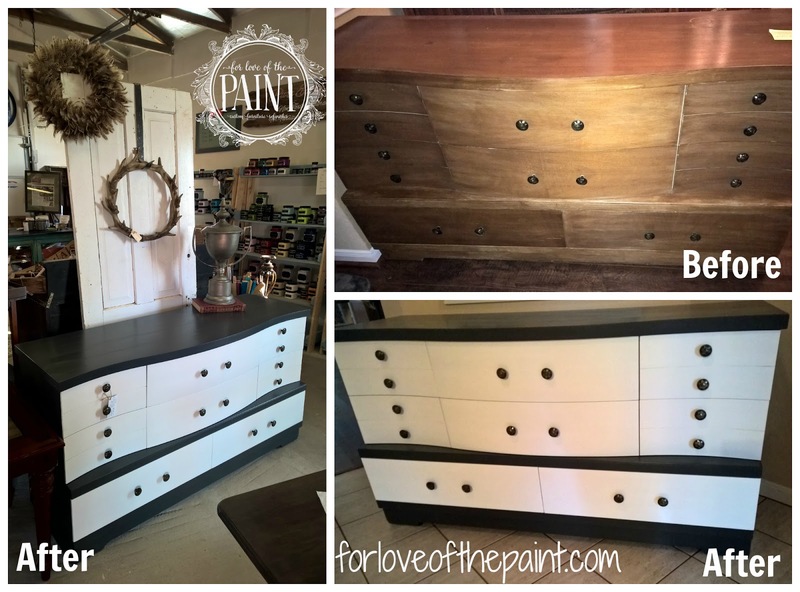 Once I felt the smooth and fabulous texture of the General Finishes Milk Paint, however, I decided to go with that, in a high contrast to really show off the gorgeous curves on the front of the dresser. I selected Queenstown Gray and Snow White for a chic and classic finish. (Note: I ended up doing several coats of the white. This may be because I hand-paint and do not use a sprayer, but I wanted it to be totally opaque and not show as much variation. I still enjoyed the smooth feel of the paint, but probably used more coats than I would have with a chalk paint.. but that's an entirely different, much thicker product! And a close up of the fantastic hardware! 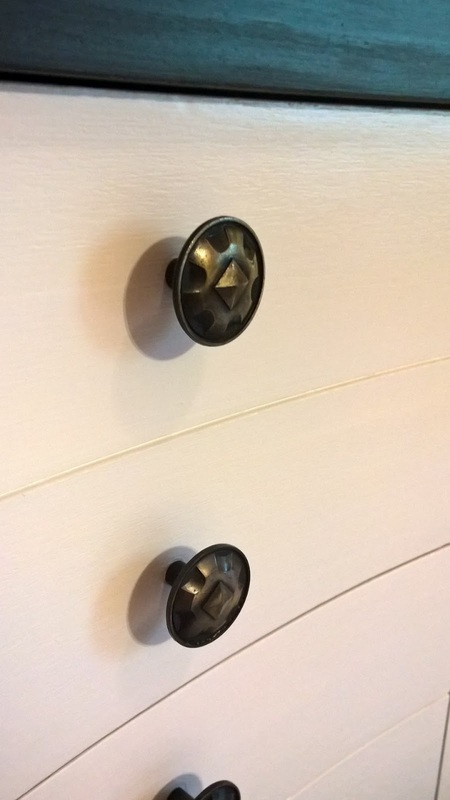 Mid Century Modern pieces often have these cute and quirky details that are just amazing and striking. I think the bold color contrast really lets them stand out! I have another MCM dresser in inventory, and once I get through a large custom order, I will get going on that one! I'm hoping to stain the drawers and the feet, and paint the body. We'll see what we find when we sand down the drawer faces! !